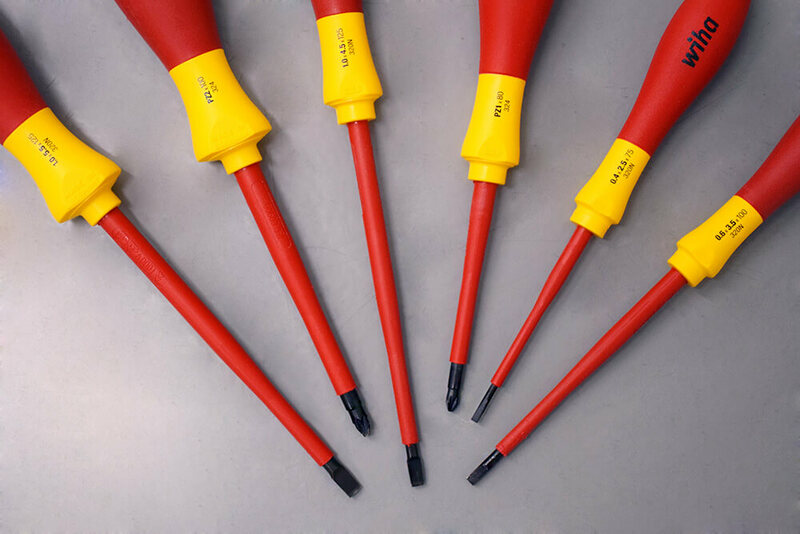 Set of VDE rated screwdrivers, x 2 pozi (#1 x 80 and #2 x 100mm) and x 4 slotted (2.5 x 75, 3.5 x 100, 4.5 x 125, 5.5 x 125mm). Ergonomic handle design with comfortable grip. 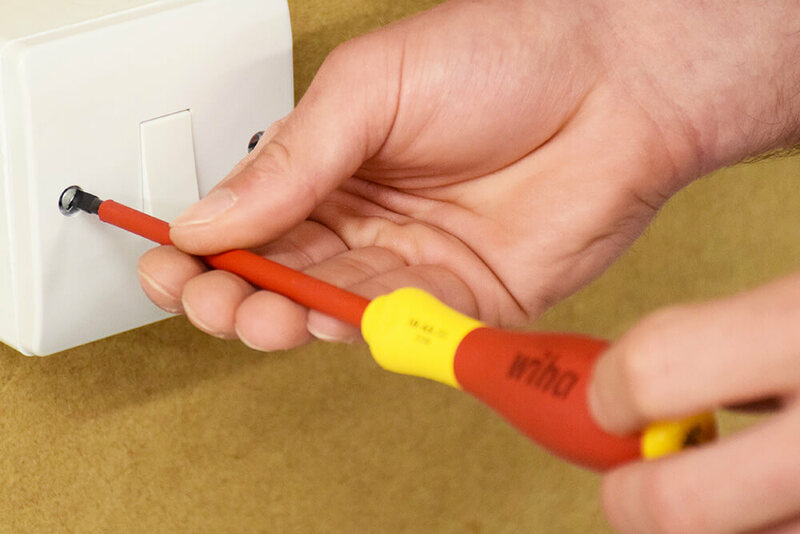 An essential set of reliable and durable VDE screwdrivers is an essential to any electrician currently working in the industry or looking to kit out their tool bag. 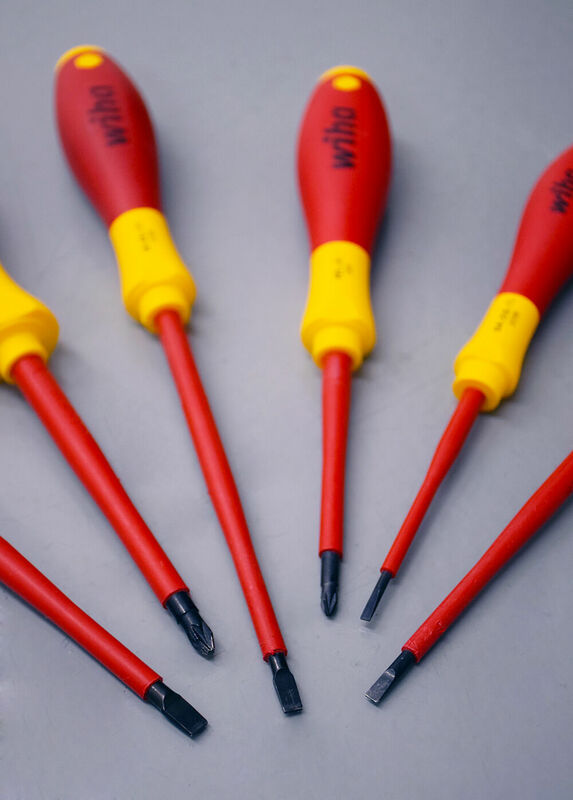 We recently refreshed out tool kits in our centre with brand new screwdrivers for our customers, and after a round of testing, we opted for the Wiha Soft Finish Screwdriver set. The set is 7 pieces, including 2 pozi drivers and 4 slotted drivers, and also a neon voltage tester, which we opted to throw out. 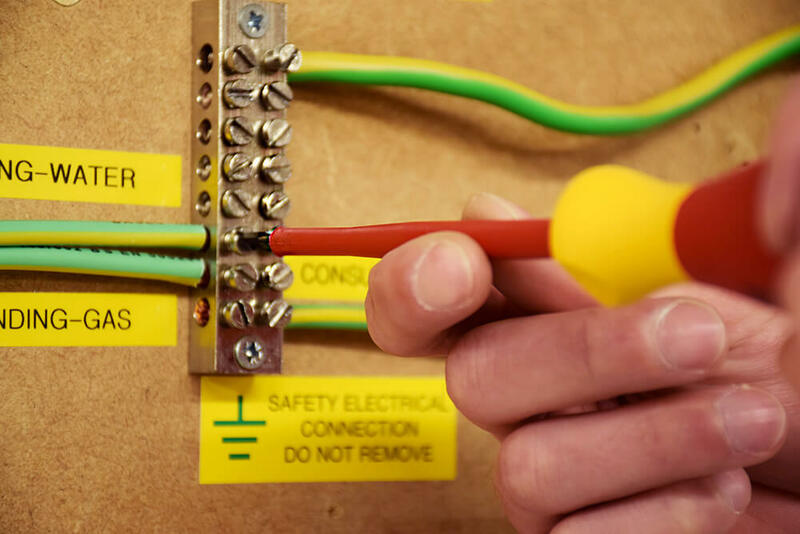 Bought at a discounted price of £14.99 (inc VAT), “they are a perfectly serviceable bunch of VDE rated screwdrivers, with a comprehensive range, which covers the majority of fastener types you will come across” our experienced trainer says. Some may find the handles bulky, as they are not as slim as some other brands, but the grip is textured and comfortable to use for long periods of time, and they also fit in your pocket. 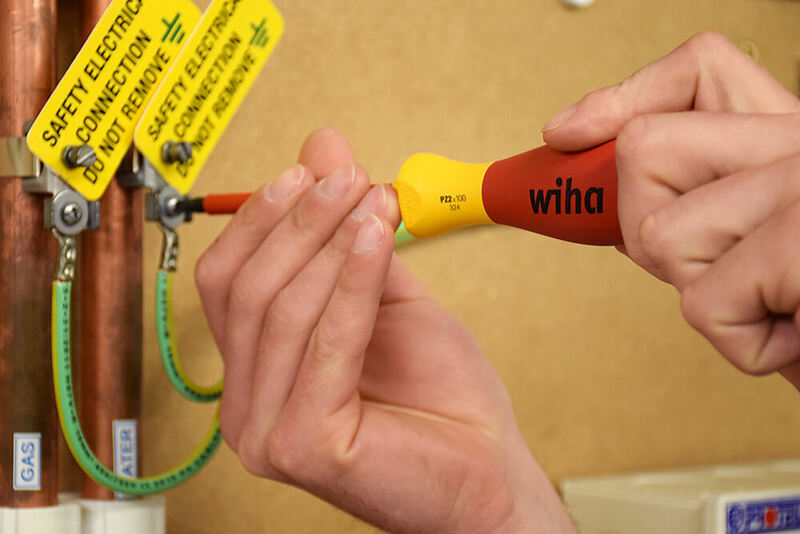 Another benefit with these Wiha screwdrivers is that the insulation starts further back away from the tip. 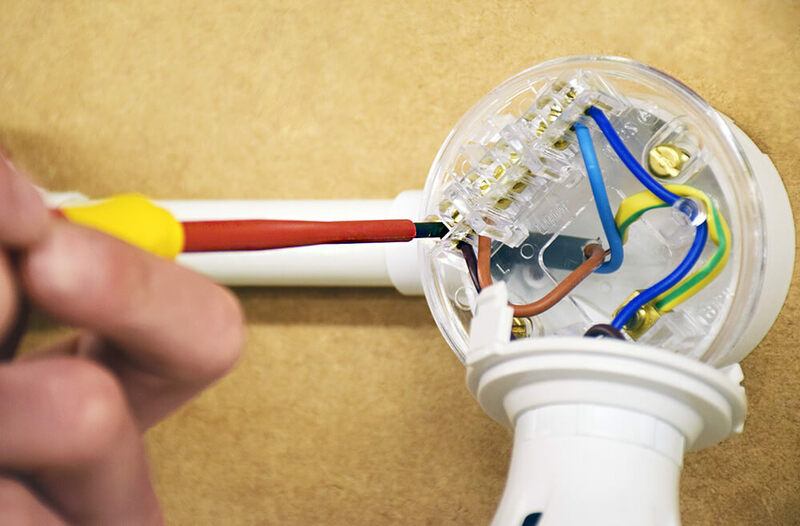 “If you’ve got a recessed screw, you can actually get the top of the screwdriver in there to do it, without the insulation getting in the way” our electrical trainer says. 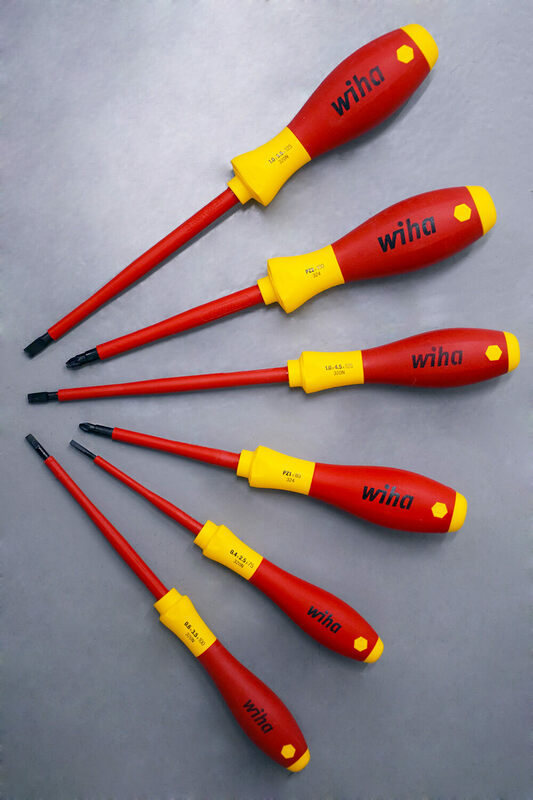 If you are in need of a new set of screwdrivers and are interested in this Wiha set, we recommend shopping around for the best price or waiting for the next promotion, as if you are paying the full retail price, there other alternative brands available. However, for £14.99 this Wiha set is great value for money, just don’t forget to throw out the neon! Price at time of purchase was brilliant for the wide variety of screwdrivers in the set. Comfortable grip for long use. The Neon voltage detector is dangerous and shouldn’t be sold in any set. Other comparable brands or better sets available for the current full retail price of £24.99. You can buy the Wiha 7 piece screwdriver set from Electrofix or Screwfix for £24.99 and we recommend throwing the neon straight in the bin!